Posted on 10/01/2018 by Mickey McCarter	in Live Review and tagged bluegrass, Nashville, The Birchmere, The SteelDrivers. The SteelDrivers have hit the road, taking their Grammy-winning bluegrass to The Birchmere for two nights on Thursday, Oct. 4, and Friday, Oct. 5. 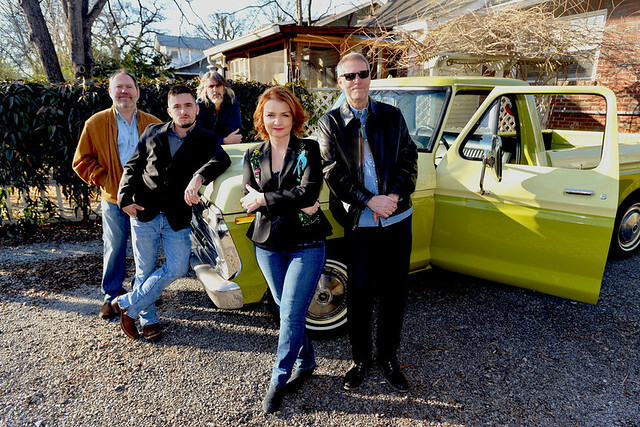 The SteelDrivers — Tammy Rogers, Gary Nichols, Mike Fleming, Brent Truitt, and Richard Bailey – released The Muscle Shoals Recordings in 2015. The album hit #1 on Billboard’s Bluegrass chart. Then, The SteelDrivers won the 2016 Grammy Award for “Best Bluegrass Album,” received IBMA nominations for “Album of the Year,” and “Song of the Year” for “Long Way Down,” which also reached #1 on the Bluegrass Today monthly chart. On top all of that, The SteelDrivers recently recruited new vocalist Kelvin Damrell. In a review for PopMatters, Jonathan Frahm highlighted the “old school grit” of The SteelDrivers. “As always, The Muscle Shoals Recordings is chockfull of tracks which permeate a traditional bluegrass sound. You won’t find any newgrass technicalities that bands like the Punch Brothers are rocking in the current age; this quintet is unabashedly old school in just about every way audio-visually imaginable, letting their innovation flow from their grit rather than their production. The strength in the band’s songwriting offers a gentle lilt of sophistication to their performance, offering a cathartic quality to their work,” the review said. Buy your tickets online for Thursday, Oct. 4, or Friday, Oct. 5.